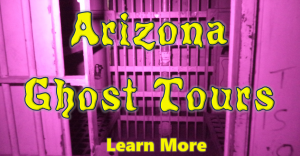 Arizona Paranormal Investigation & Research Society (AZPIRS) has been doing paranormal investigating for years. While paranormal investigating is still our core function we have expanded offereing a variety of services. Historic Preservation Fundraising Programs: Consists of combining paranormal workshops, lectures and or paranormal investigation for events at libraries, restaurants, hotels and other historic landmarks. Each program is custom tailored to each location and proceeds benefit the location. Paranormal Workshops & Investigations: Designed to educate the general public our workshops discuss basic paranormal investigation procedures. Our public investigation events provide hands on access to all the equipment used by paranormal investigators worldwide and led by our experienced investigators. Researching Methods & Applications: AZPIRS runs various experiments on paranormal investigation equipment to better understand what each piece of gear reacts to and why. We challenge current investigation procedures to possibly come up with better technics. Exploring new methods and equipment to take paranormal investigating to the next level. Historic Paradocumentory: During 2017 and 2018 Arizona Paranormal Investigation & Research Society will be filming various historic locations during our investigations. Our intent is to provide historical content on each location, claims of the paranormal that exist and the conclusion of each investigation. Arizona Paranormal Investigation & Research Society carries a $1,000,000.00 liability insurance policy.